Use the following documentation to learn how to navigate and download software for Windows, from within the Office 365 portal. 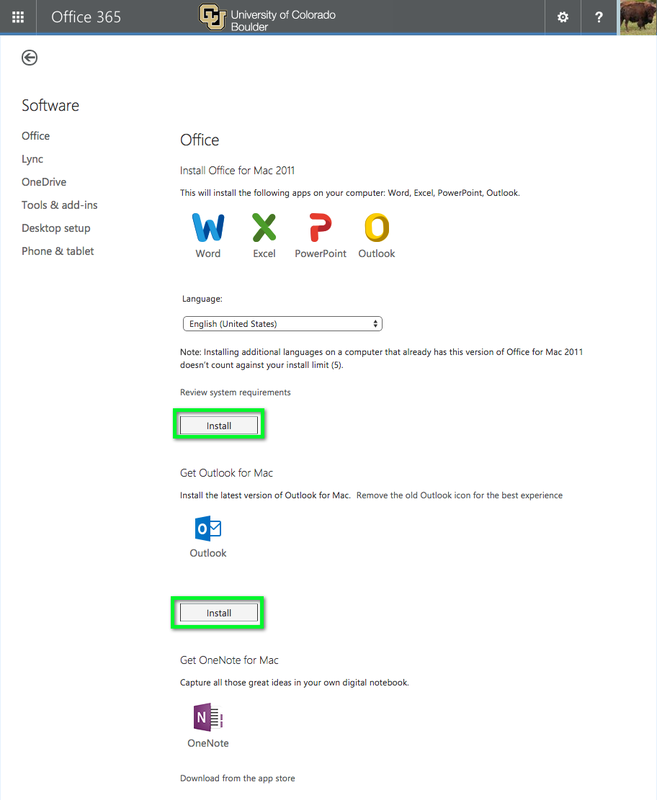 *Note: You can go directly to the Office 365 Software download page to find available applications; however, if already within the portal use the instructions below. Sign in to the Office 365 portal using your CULoginName@colorado.edu and IdentiKey password. From the Settings (cog wheel icon) drop-down menu, select Office 365 Settings. Click on Software, located on the left sidebar. Click the Install button for the application you would like to download. Your application(s) will begin downloading. *Note: Additional applications may be available by clicking on the application names on the left sidebar.